Recently you may have noticed plenty of talk in the forums about how X player is better than Y player because they won the series (e.g. Oz is better than Stephano is better than MC is better than DRG is better than etcetc because they won in matches). 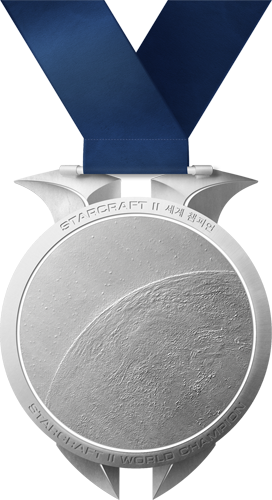 So, as per the idea of http://en.wikipedia.org/wiki/Unofficial_Football_World_Championships it would be interesting to track the 'unofficial sc2 world champion' dating back to the first GSL Open Season 1 - which Fruitdealer won. Essentially a list of the dude who beat the dude who beat the dude who ... who beat Fruitdealer. Only tournaments played live/at a LAN and broadcasted on-location* (i.e. no weekly cups, TSL, online qualifiers - only MLG, GSL, Proleague, etc). Classic is your WORLD CHAMPION! Lucky defeats MMA at IPL3. HuK defeats TheStC at MLG Orlando. Haha. This is pretty cool. Who has been the "champion" for the longest period of time? Keen, for two months, May-July 2012 I think? Keen is the greatest of all time! I say SeeKeR (and the whole LR gang, Hassybaby, Mr. Con, opterown etc.) for all the awesome LR's during my short time here at TL). Mvp defeats Ryung in GSTL 2. MMA defeats MMA in GSTL 2. I wholeheartedly support this thread! Cool! Ah. Although that would be the longest continuous period of time; I'm wondering who has the total amount of time racked up with the crown. EDIT: Actually, I'll stop being lazy and do my own count, hehe. I'll create a list organized by players, listing their reigning periods underneath (unless somebody beats me to it). As I said before, the more you know, the more of a boss Keen is ^_^ Dat reign as king. Really good job, gratz ! This is awesome! :D you should keep this updated if possible for total coolitude factor. haha cool stuff, good work. football has far fewer matches than sc2 though - if we had weekly cups and stuff included too, that would be nine biollion games and also some are not well documented, making keeping track difficult?